Unrivaled in its quality & durability, our ceramic kitchen range is a finish that speaks of prestige and style. 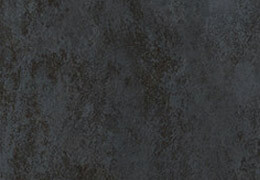 Result of advanced development, our ceramic kitchen doors are highly durable, resistant, fireproof & scratch resistant. Full of charm with unique texture our ceramic kitchen range is one of most modern kitchen door materials you can choose. The ceramic material allows for highly versatile design, whilst not loosing its simplicity. 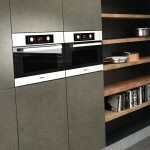 Our ceramic kitchen doors are made out of 3mm ceramic sheets to 16mm lava finished back panel. 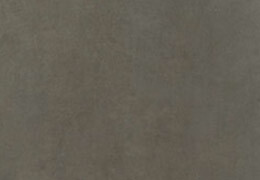 Our ceramic kitchen door range is firm, resonant, with exceptional resistance to chemical, scratch and thermal shock. Also chromatically resistant and impervious to UV rays, so the finish cannot fade. 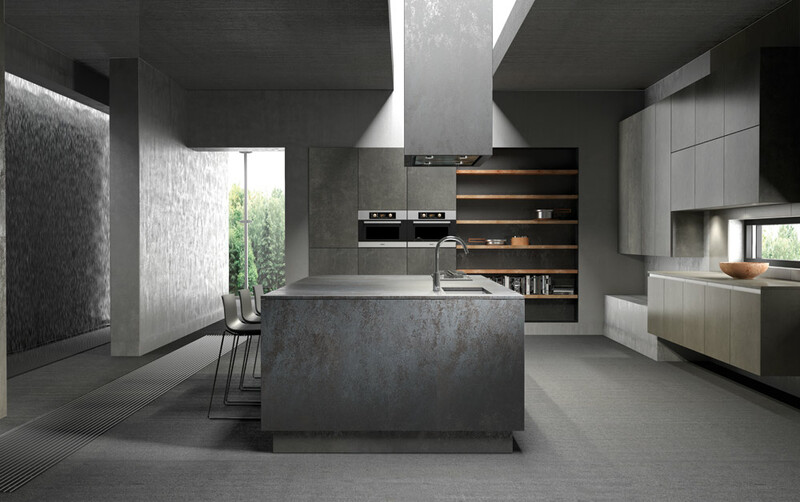 For an ultra durable, modern and unique kitchen choose our ceramic kitchen range. 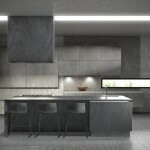 Ceramic is a material that provides prestige & an ultra modern look to your kitchen. 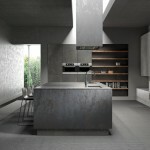 Natural individual texture of each door make each kitchen totally unique. Ceramic has been used for a very long time but with new technical advances, it has only recently found its rightful place in kitchens. 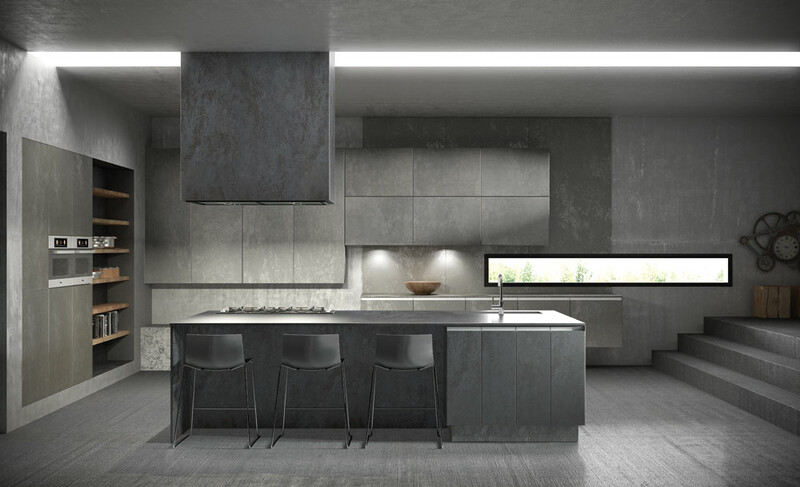 Not only can it be used on kitchen doors, we can use ceramic to clad certain areas of the kitchen for a maximum modern look. 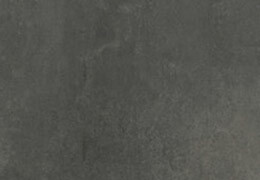 Our ceramic kitchen door range is a true handleless range. Available in 3 variants. Slab, J section aluminium trim & undercut aluminium trim. All doors are available made to order specifically manufactured for your kitchen. Available in any bespoke size with maximum size of doors & panels at 2400mm x 1200mm. 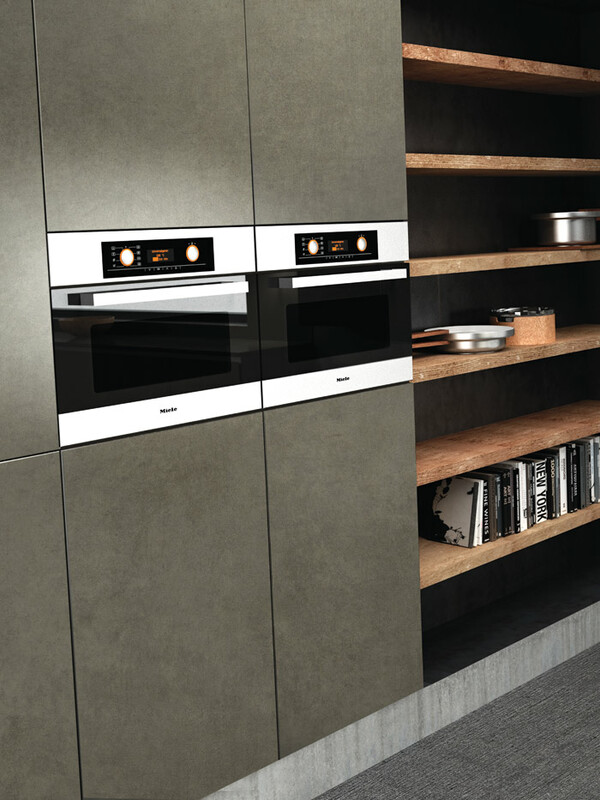 Our ceramic kitchen doors are made from clay fired at extremely high temperatures. Ceramic doors are fine-grained in structure and provide great consistency in colour. Each door has its own individual character together with the texture. 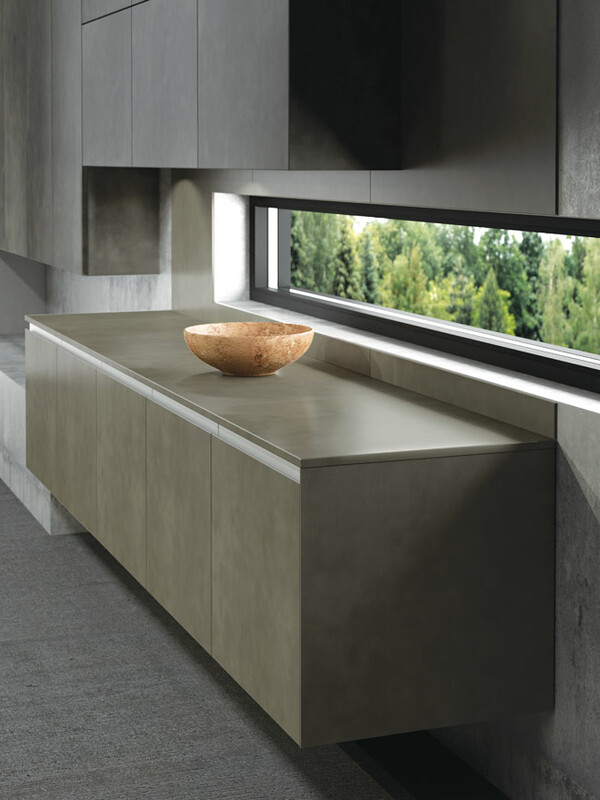 Our Iron Grey finish door & panels are supplied with vertical grain and all drawer fronts are supplied with horizontal grain. 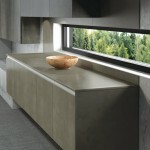 Combine your ceramic kitchen with any of the 44 beautiful ceramic worktop options. Available in 4 different finishes such as satin, silk, river washed or polished. Ceramic kitchen worktops provide superior performance as they do are stain resistant, scratch resistant, UV resistant & waterproof.